When the Public Theater began planning for the renovation and expansion of its main lobby and restoration of its historic façade, Auerbach Pollock Friedlander was brought on board to provide a comprehensive review and long term plan for renovation and improvements to the Public’s performance spaces. Working with the architects, the firm developed plans to improve circulation, seating, sightlines, infrastructure and theatrical systems for each of the four spaces in the facility. Improvements to the Shiva Theatre and Joe’s Pub were included in the lobby and façade project which was completed in 2011. 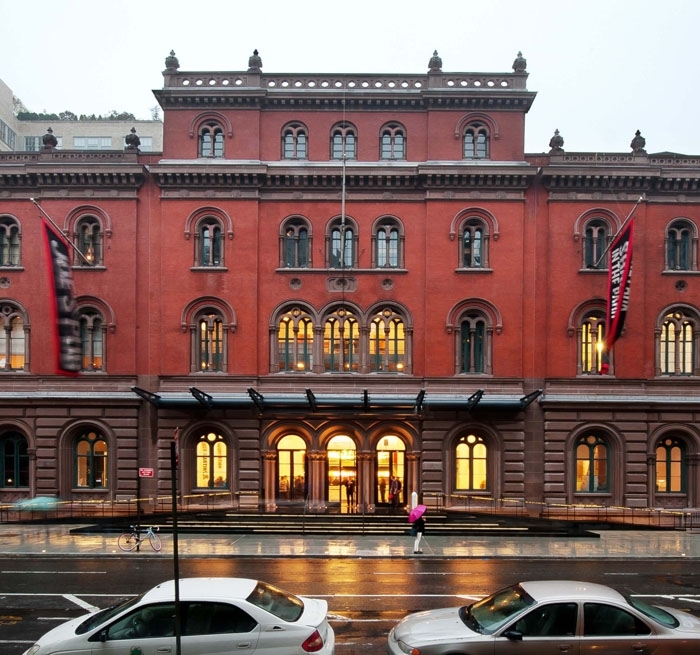 Originally constructed in 1853 as the first Astor Library and re-envisioned as home to The Public Theater in 1967, the renovation of this Renaissance Revival building included expansion of lobby and entryway including a new mezzanine lounge that overlooks the lobby area and increases the size of the lobby by an additional 468 square feet. A new box officeand glass enclosures around the staircases leading into the lobby round out the redesign work.